Rounder 3024. George Thorogood and the Destroyers. 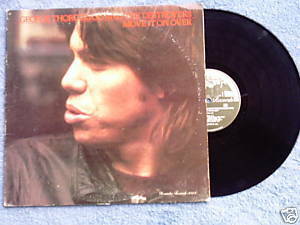 Move It On Over 1978 LP includes title track, Who Do YOu Love?, It Wasn't Me, The Ksy Is Crying, Cocaine Blues. Thorogood's second album includes musicians Jeff Simon, Billy Blough, and Uncle Meat Pennigton. Record and cover are VG.